the Historical Society of Grafton, Mass. 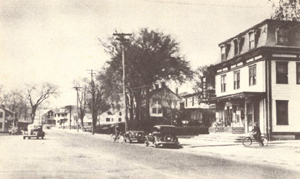 The Grafton Historical Society of Grafton, Massachusetts was incorporated in 1964 to collect, preserve, and interpret objects related to the history of Grafton, Massachusetts. The office and museum are located in the Lower Level of the Grafton Town House on the Town Common. It is operated and managed by a volunteer board of directors, along with a core of dedicated volunteers. Educational programs are held September through May, and the annual “Antiques & Arts Fair” is held on the third Saturday in June. The Society is recognized by the IRS as a Section 501 (c)(3) tax-exempt organization. Looking for historical societies for Graftons in other states?